LINCOLN, Neb. 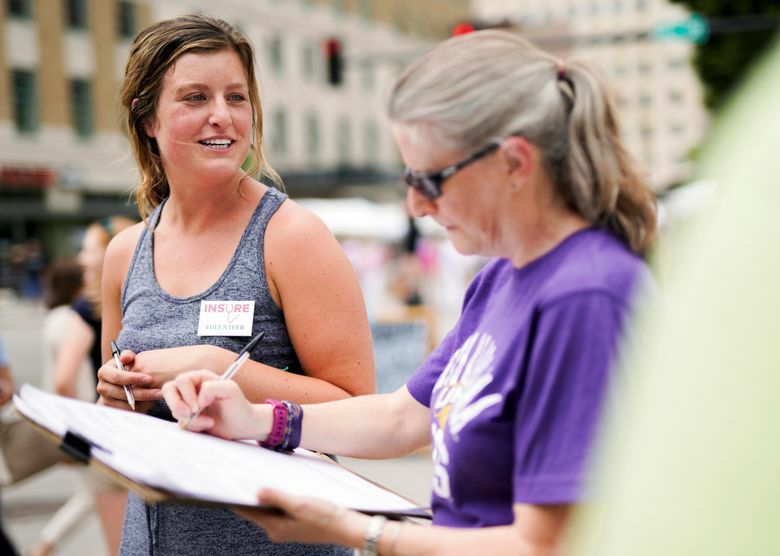 (AP) — Organizers of a petition drive to expand Medicaid in Nebraska say they are making progress toward placing the issue on the November general election ballot, thanks in part to a national group that successfully championed a similar effort in Maine last year. 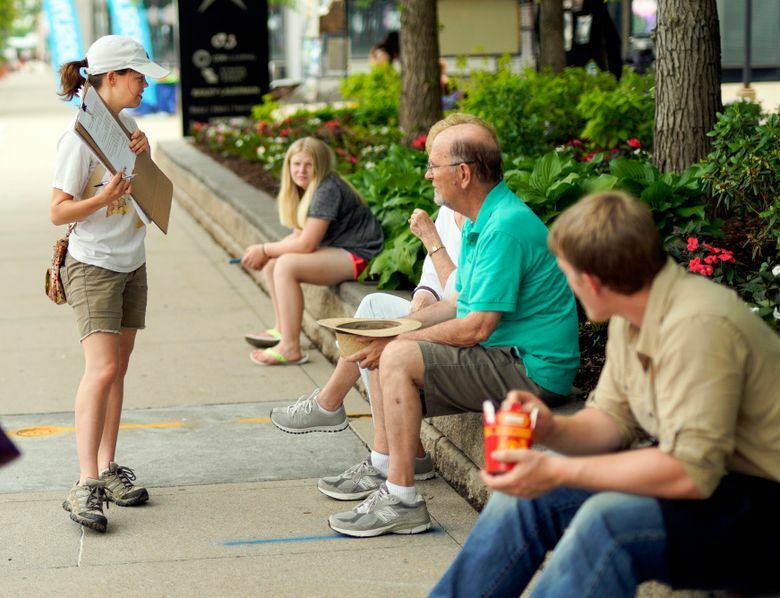 The Insure the Good Life campaign has already passed the minimum signature threshold in Nebraska’s two largest counties — Douglas and Lancaster — and is sending volunteers to collect signatures in more rural areas, said campaign manager Meg Mandy. Organizers need about 85,000 signatures by July 5 to qualify. 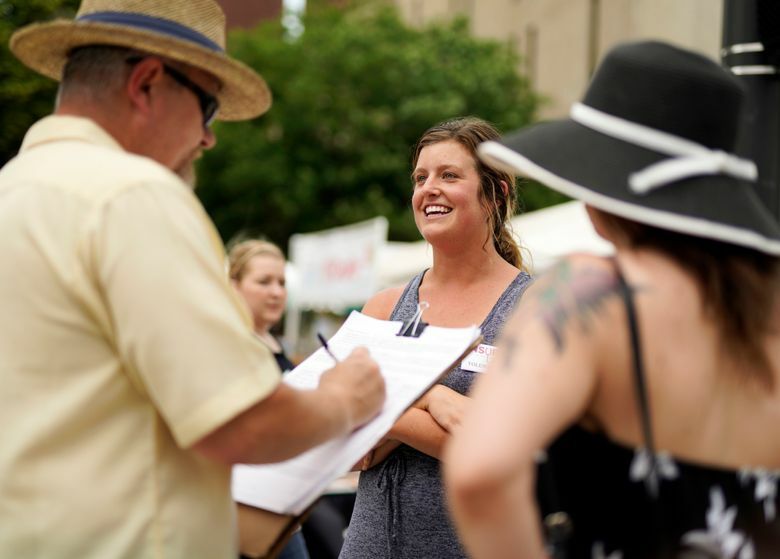 They must also gather signatures from at least 5 percent of the registered voters in 38 of Nebraska’s 93 counties. Organizers have also raised more than $912,000 in cash and in-kind contributions since the committee was formed, according to the Nebraska Accountability and Disclosure Commission. More than 93 percent of the donations have come from the Fairness Project, a Washington-based group formed by labor unions to push for minimum wage ballot measures. The group has since branched out to promote “economic fairness” ballot measures, including Medicaid expansion. Other major donors include Nebraska Appleseed, a public-interest law firm that has lobbied for expanding Medicaid, and the Nebraska State Education Association, a union representing public school teachers. The Fairness Project played a pivotal role in the 2017 vote to expand Medicaid in Maine, the only state to do so through a ballot measure. 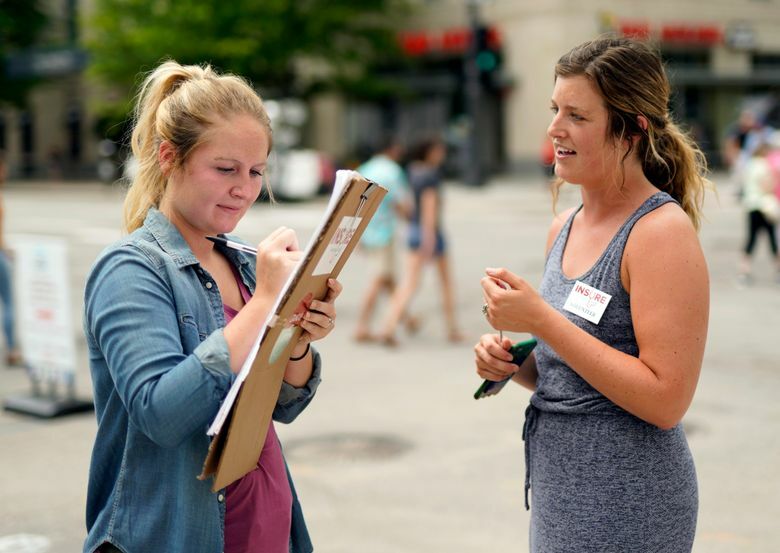 In addition to the Nebraska campaign, the group is working this year on Medicaid expansion ballot measures in Idaho, Montana and Utah. Jonathan Schleifer, the Fairness Project’s executive director, said the latest ballot measures could help demonstrate the public’s support for Medicaid expansion even in conservative states. Nebraska lawmakers have rejected six previous attempts to expand Medicaid under former President Barack Obama’s signature health care law, the Affordable Care Act. Gov. Pete Ricketts and former Gov. Dave Heineman opposed the efforts, arguing it would create long-term budget problems. The Nebraska measure would require state officials to submit a coverage plan to the federal government to insure certain residents who make less than 138 percent of the federal poverty level — about $16,750 a year. The federal government would then have to approve the plan. It also would prevent state officials from placing “additional burdens or restrictions” on residents who qualify. Some Republican-led states have sought to impose work and other requirements on able-bodied adult recipients as part of their proposals. Critics have said Medicaid isn’t a jobs program. Expanding Medicaid would provide coverage to an estimated 90,000 low-income adults between the ages of 19 and 64 who have no dependents. Many residents who fall into the so-called coverage gap work in service jobs with no benefits, such as hotel, fast-food and construction workers. Roughly 11 million people nationally have gotten coverage through the expansion of Medicaid. The health care law appeared to be in jeopardy last year, but President Donald Trump and congressional Republicans have repeatedly failed to repeal it. 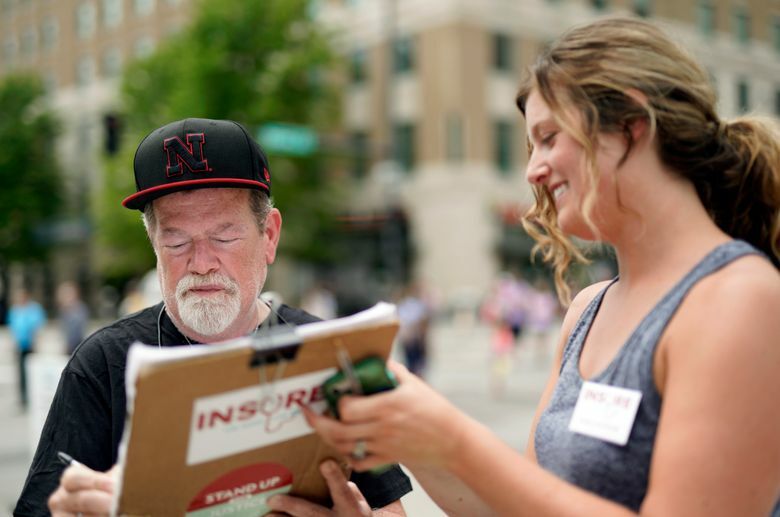 Mandy said Insure the Good Life is relying on a combination of volunteer and paid circulators provided through Fieldworks, a Washington-based group that ran the successful signature-gathering campaign to raise Nebraska’s minimum wage in 2014. Insure the Good Life still had more than $327,000 in cash on-hand as of last month, according to accountability and disclosure filings. A leading opponent of expanding Medicaid said he hopes to defeat the measure if it goes before Nebraska voters, but his group doesn’t yet have plans in place. It’s not clear if the group will raise enough money to campaign effectively. “If it does make the ballot, we’ll fight it tooth and nail,” said Doug Kagan, president of Nebraska Taxpayers for Freedom. Kagan said he recently encountered petition circulators in Omaha who pitched the measure as a way to “expand insurance choices in Nebraska” while avoiding the phrase “Medicaid expansion,” a term associated with the health care law. He noted that most of Insure the Good Life’s funding has come from out-of-state sources. “We think they’re being very disingenuous,” he said. Schleifer defended his group’s contributions to the campaign, saying they would help give the public a chance to voice its opinion and reduce partisan influence.